Resin is a great material for crafting when you want something special: it’s sheer and allows seeing what’s inside and make it part of decor. 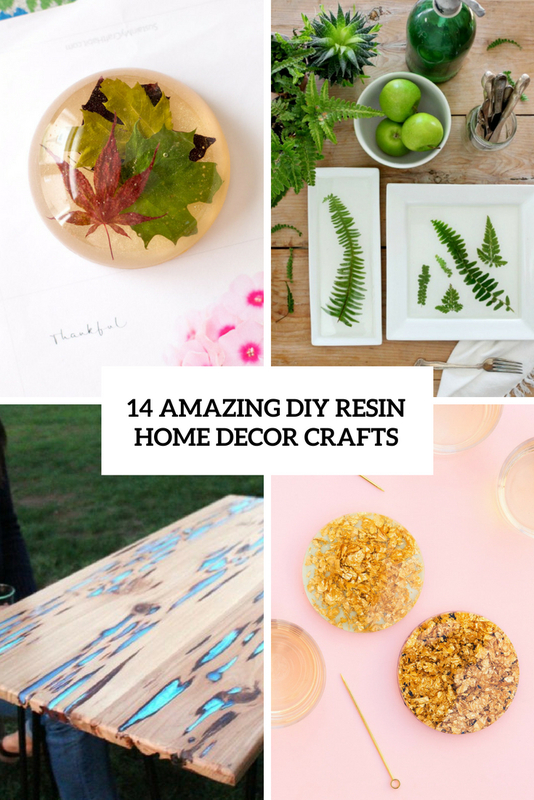 Resin is ideal for showing off flowers, plants and faux insects and stuff like that for home decorating. Let’s take a look what crafts can be realized to make your home decor more interesting and maybe natural. The first craft is right for those who love glam: these are resin coasters with gold leaf flakes inside, which look cool and sparkly plus are very comfy in using. The coasters are super cute and chic, they can spruce up your home adding a glam feel and can become a very nice gift for anyone who loves metallics. Read how to make them fast and go do that! 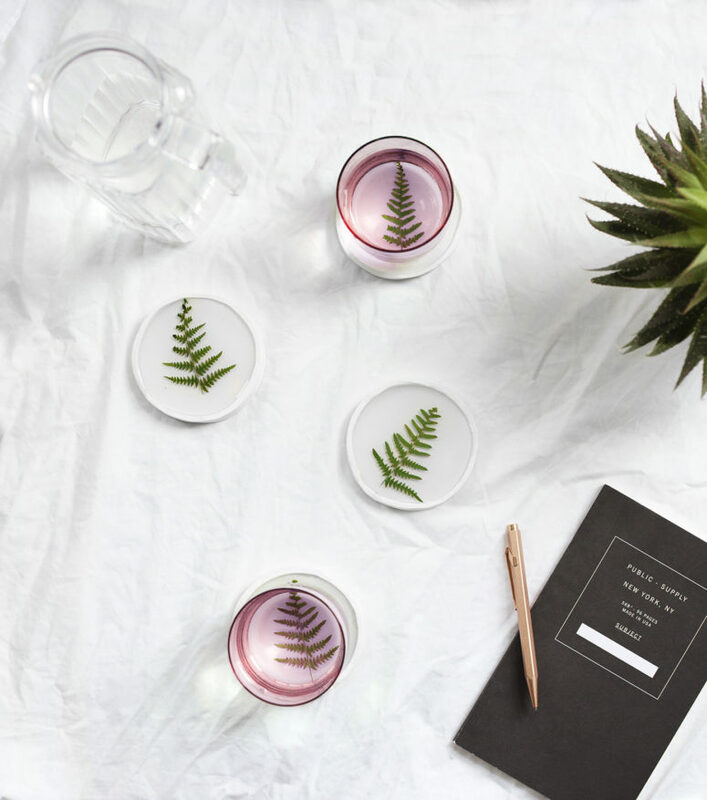 Preserve spring and summer freshness making these natural leaf resin coasters. You can take any leaves, here these are fern leaves. The neutral and seamless look of these coasters is very cool, and they will easily remind you of the summer and fresh botanicals. Get inspired and keep your summer memories! 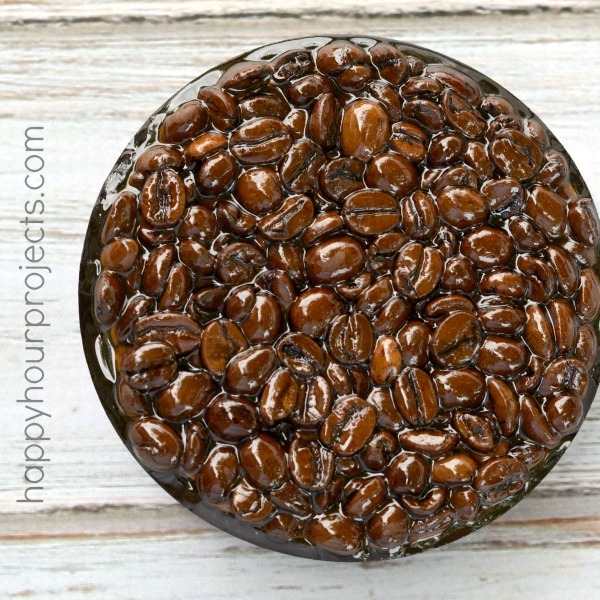 If you love coffee, these coffee bean coasters are right what you need. Using such a material for crafting is very difficult and making a coaster seems not real but no – there’s resin! Resin allows placing coffee beans inside and making a comfy surface for putting mugs on. Read how to do that and get inspired to make some. The main advantage of resin is that you can show off what’s inside without any changes and keep it safe. Take some beautiful paper or even old cards and place them inside resin coasters to enjoy the memories or just the chic look. Make as many as you like and give them as gifts, too, this is a cute idea that will be loved by many people. If you are puzzling over what to gift to a man, there’s a simple and fun idea – these man cave resin coasters. 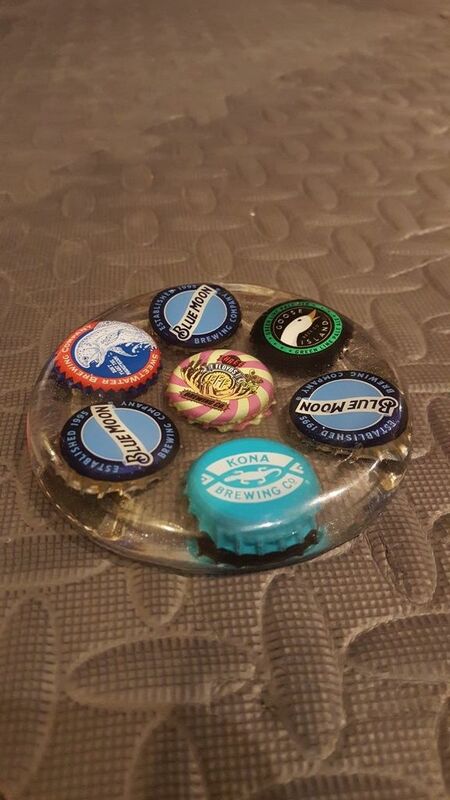 Place beer bottle lids inside the resin and voila, use any patterns you like and include sheer parts, too, to achieve a cool look. Get inspired! What else can be catchy inside sheer resin? I have a bold idea! 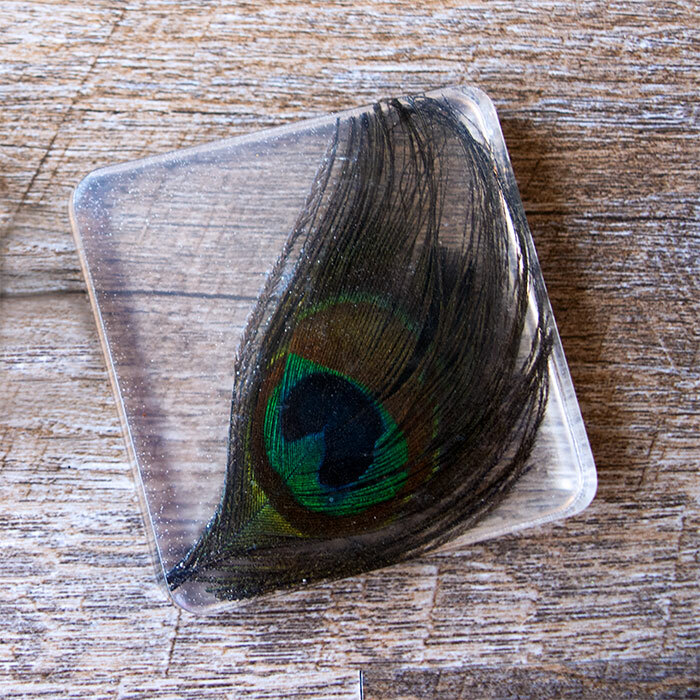 Display peacock feathers at their best in resin coasters! Cut them as you like and read the tutorial to find out how to make such coasters. They can be a bright and catchy piece or an amazing and bold gift for anyone. 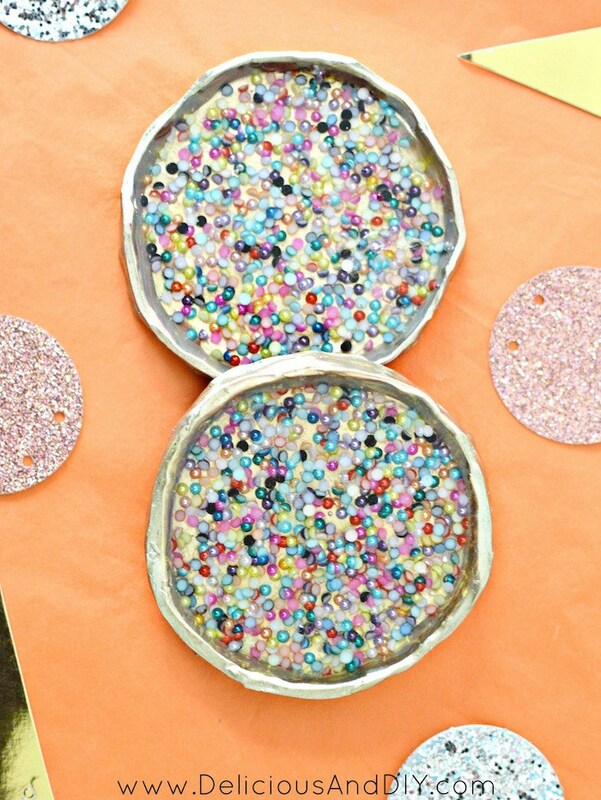 Here’s another glam idea to try: these are bright and colorful coasters with beads. Actually, they are made of clay but the resin is also necessary to display the beads and still make the coaster comfy in using, too. Use any beads you like and create various patterns if you want, resin will keep them all in order. The first tutorial I’d like to share here is a whole assortment of trays and plates with amazing greenery decor. 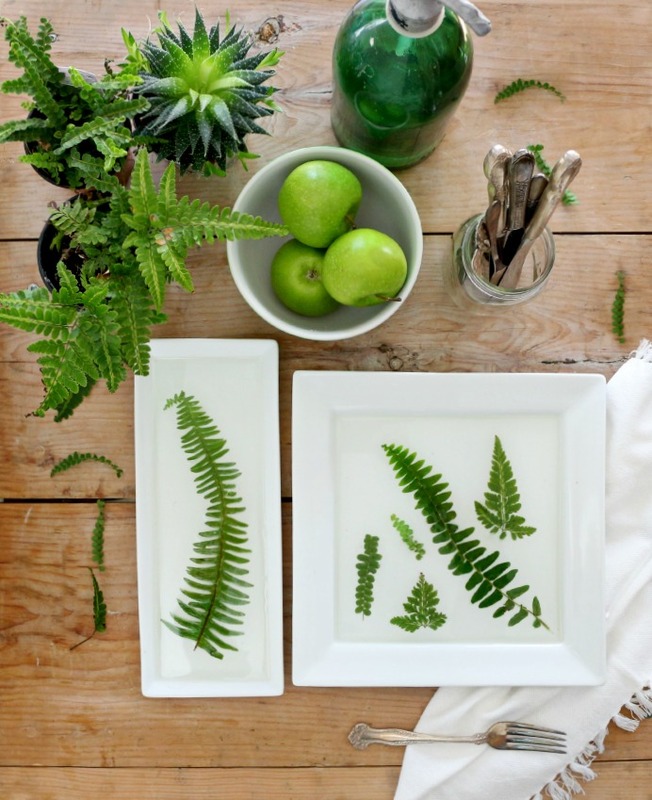 Of course, the greenery is preserved with resin, and I think that this assortment is ideal for serving anything in the summer, nothing screams summer like these dishes! Make them all using your favorite greenery and feel your home with natural charm. 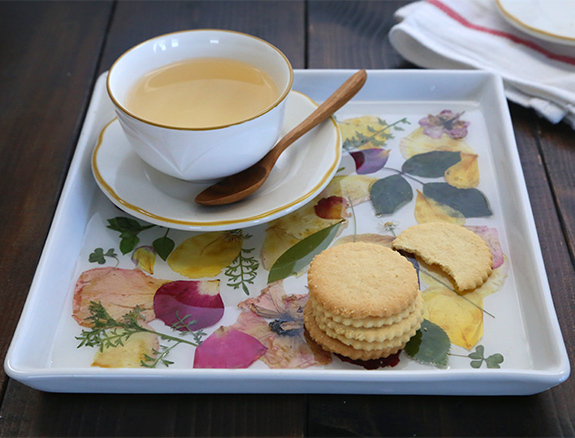 This romantic tray is ideal for serving breakfasts in the summer and not only. It’s done with greenery and flower petals that look as if they have just been placed on the tray, which is achieved with resin on top. Create the arrangements you like and enjoy them feeling that summer spirit. We’ve already told you of some adorable resin tables you may buy for your home and this tutorial is right for those who don’t want to buy them but are ready to craft. 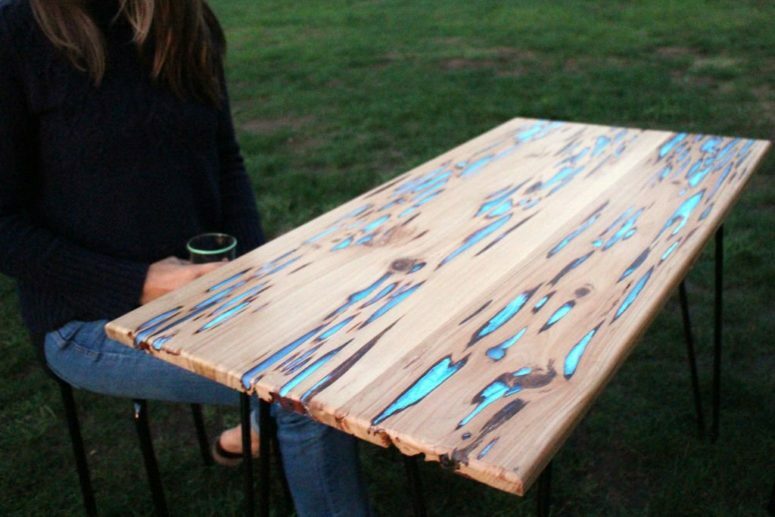 This wooden table is done with glowing blue resin, which accentuates the wood very well and catches an eye. Interested? Read the tutorial to make one. Marble is very popular for decor and you needn’t pay much to get a marble tabletop. 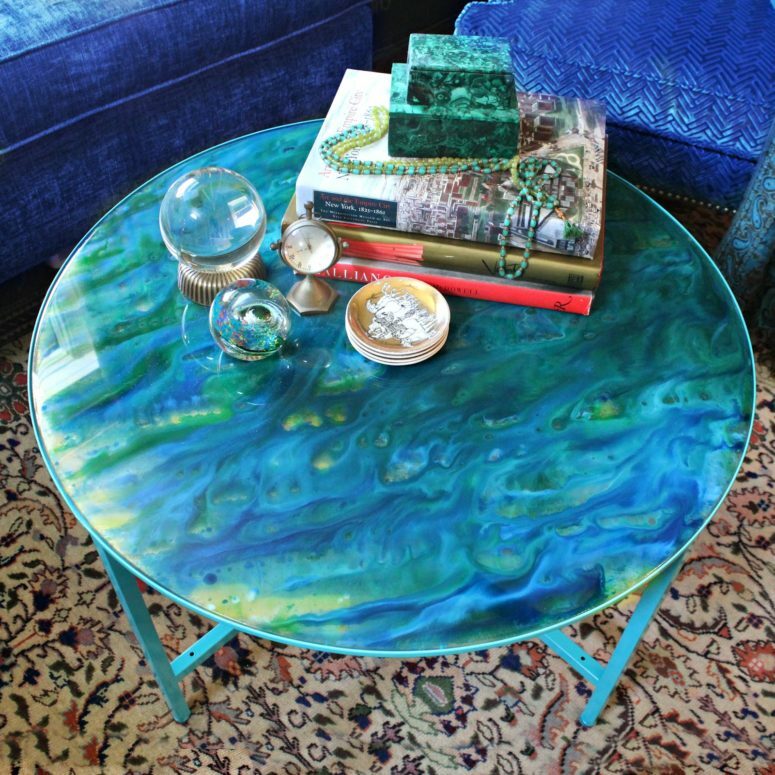 Make this table using resin and create a bold marbleized blue, green and aqua top, which will stand out in any space. crafting will take some time but it’s totally amazing, get inspired! Here’s one more amazing resin table that can be easily DIYed. 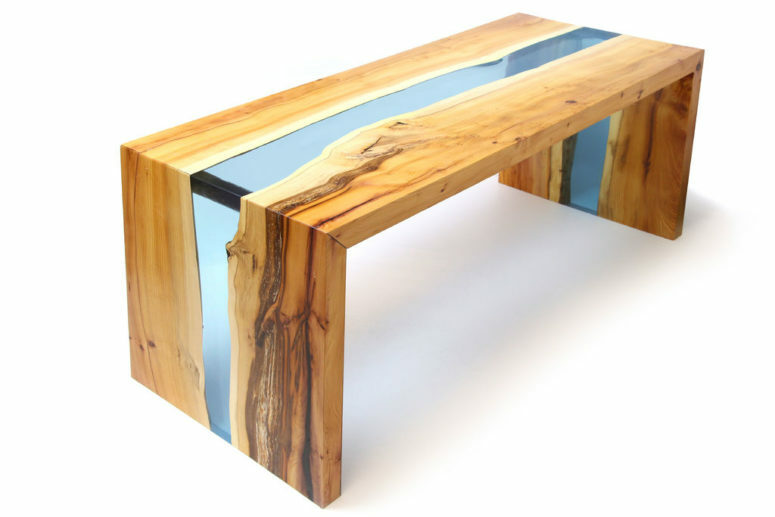 The table features wood and a large clear resin insert right in the middle and looks like a latest designer’s piece. Making it will take some time but it’s totally worth it! Make a stylish statement in your home with this amazing table. 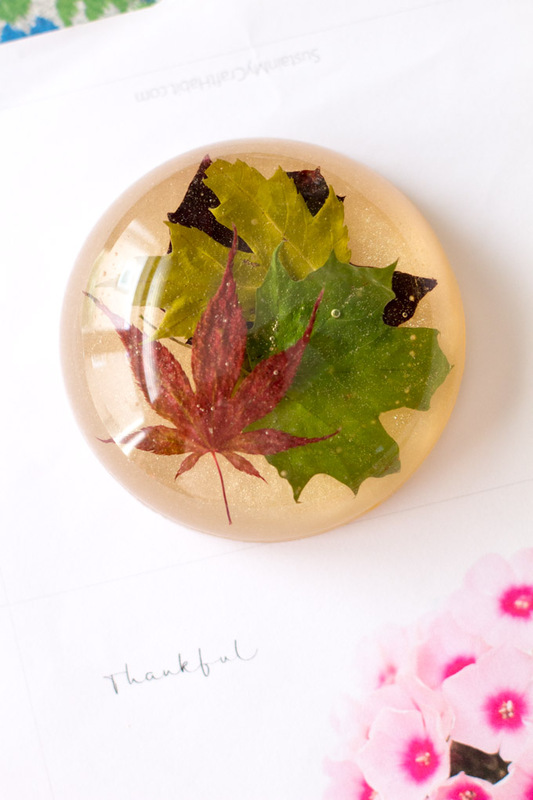 I’m totally in love with this paper weight or tablecloth holder made with resin and fall leaves, it looks so natural and cool! You may also make it with plants or flowers or both to have comfortable meals outdoors even if it’s rather windy. 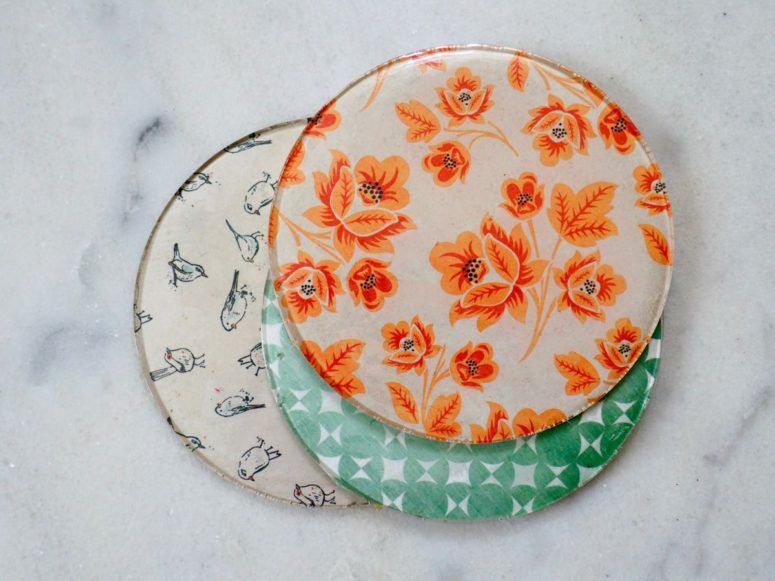 Make the piece large and heavy enough and decorate your table setting with such cuties. These place cards are perhaps ones of the most stylish that I’ve ever seen. 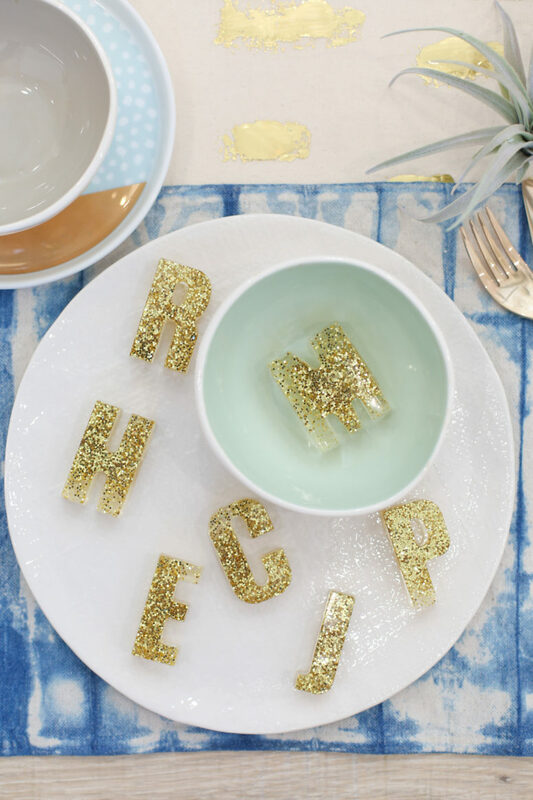 They are made of clear resin and gold glitter and feature monograms according to the names of the guests. You can also make a whole name using various letters, too. Get inspired!